The conference for me started with the normal OAUG Hyperion SIG meeting, which I was very late to as a result of a delayed flight and horrible traffic. There were a fair amount of people there, however I was hoping for better attendance. At the SIG meetings, each of the SIG domain leads give an “update” on their respective disciplines. 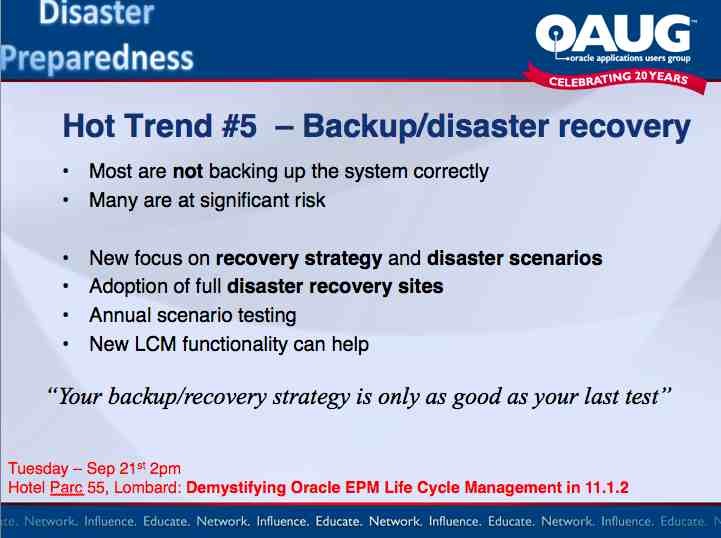 John O’Rourke gave a brief EPM road map update. 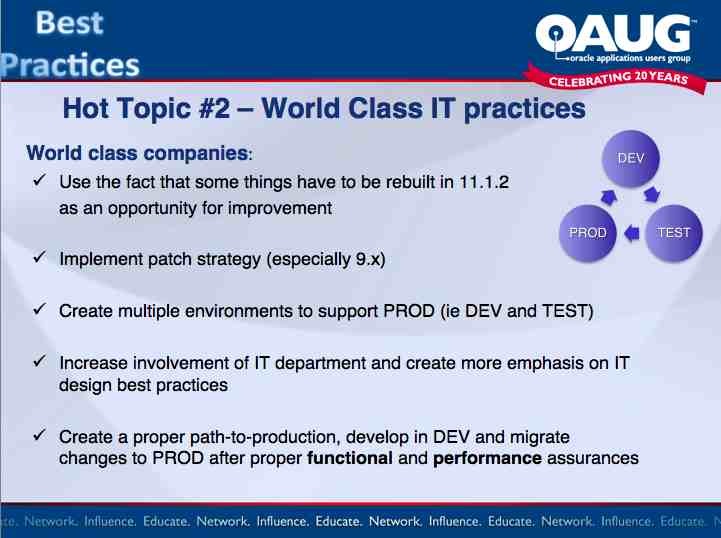 As the Infrastructure domain lead, I gave an update on some of the new hot topics and trends in EPM IT and a quick what’s new on version 11.1.2 from an IT perspective. Leave it to Lillian Buziak and Vikki Lira to put on a fantastic event for Oracle ACE’s and ACE Director’s. 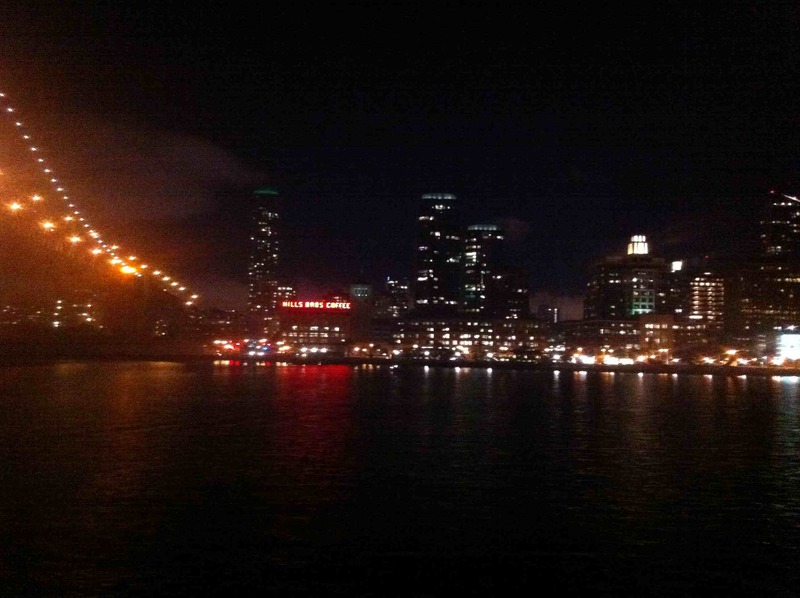 This year it was a fantastic Dinner cruise around Bay with fantastic views of the San Francisco skyline. Those in attendance I chatted with were fellow ACE’s Edward Roeske, Tim Tow, Glenn Schwartzberg, and Mark Rittman. I did not get a chance to attend the Keynote talk by Larry Ellison, however it was a huge topic of conversation though the week. People were commenting how disappointed they were in the keynote. Apparently Larry seems a bit out-of-it, stumbled through some of his material/slides, and seemed to somewhat phone it in. I guess he also bashed Salesforce.com pretty good and declared war on IBM. Also, people felt a bit violated about having to sit though the corporate sponsor commercials – which I can related to after going to the Mark Hurd Keynote talk on Monday morning and sitting thorough the horribly dry infomercial by Fujitsu. 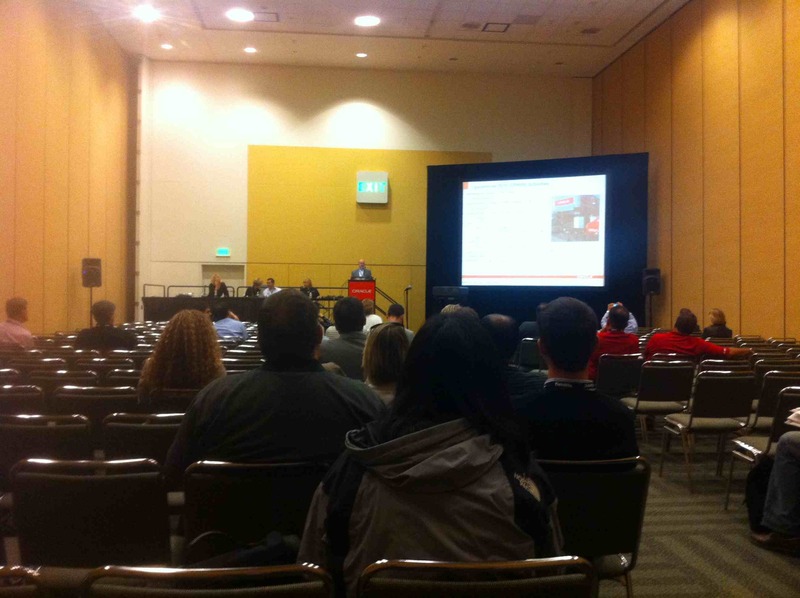 Outside of the corporate commercials, I love going to the keynote talks at OOW. The keynote hall is amazing. They lighting and production just in the stage area makes you feel like you are in a rock concert and really makes you feel like you are witnessing something amazingly special. I have to say, I was really impressed with Mark Hurd. Although I really wanted him to say SOMETHING about the obvious uncomfortable situation about his recent departure from HP…. Giving a major keynote speech just 2 weeks on the job. But he said nothing… I would assume it is because of the lawsuit. But it was the giant elephant in the room for sure. 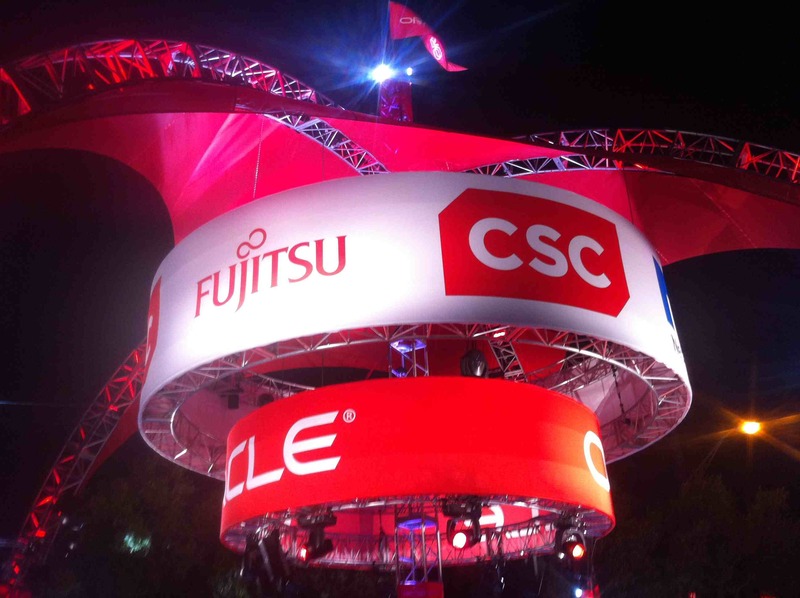 Mark did what you would expect – commented on Oracle new initiative of the Elastic cloud, Oracle Unbreakable Linux, Fusion Applications, Exadata, etc. 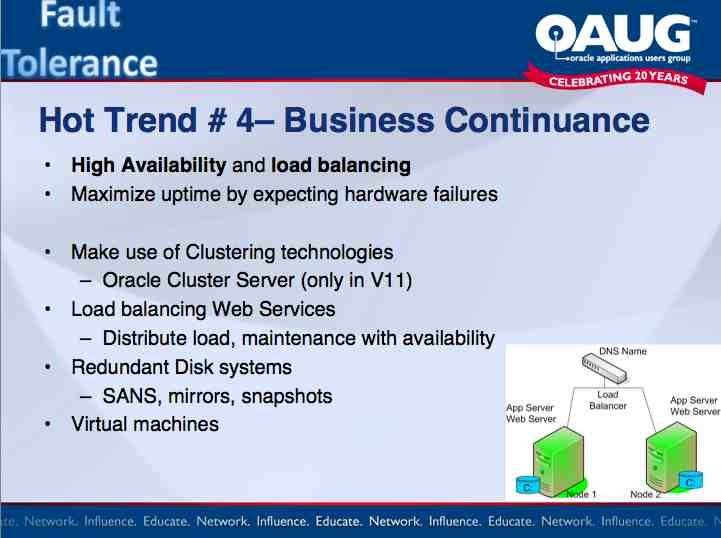 The common theme is that now that Oracle is full in the hardware business Oracle is engineering their hardware and software solutions together, so they are optimized to work together faster than mixing two unrelated hardware/software products. Throughout the keynote, a few other people came up to discuss vision and strategy. They made very clear that Oracle is dedicated to being compatible with almost any other platform as well, including Red Hat Linux. However, of course, they recommend using Oracle Hardware running Oracle Software for the best performance, as they are engineered together. Not only is hardware and software designed together to perform at their best, but high availability, clustering, dynamic resource allocation, and storage are all embedded in development and co-engineered. They also made clear that Oracle is still very dedicated to Solaris and will be integrating Solaris with Oracle solutions such as using OEM for administration, Oracle Virtual environments, and Oracle Secure Backup. They are also very happy to have inherited the ZFS file system, as you can imagine. The new Solaris 11 promises to eliminate 50% of restarts by having more a dynamically configurable kernel, a faster boot, integrated virtualization, integrated encryption, and better fault management. The goal is to trap and fix faults before it reaches the application. Now they have everything… the hardware, virtual servers, storage virtualization (ASM), and even desktop virtualization (SunRay)… all with the idea of having one centralized place to manage it all using OEM. Pretty cool. 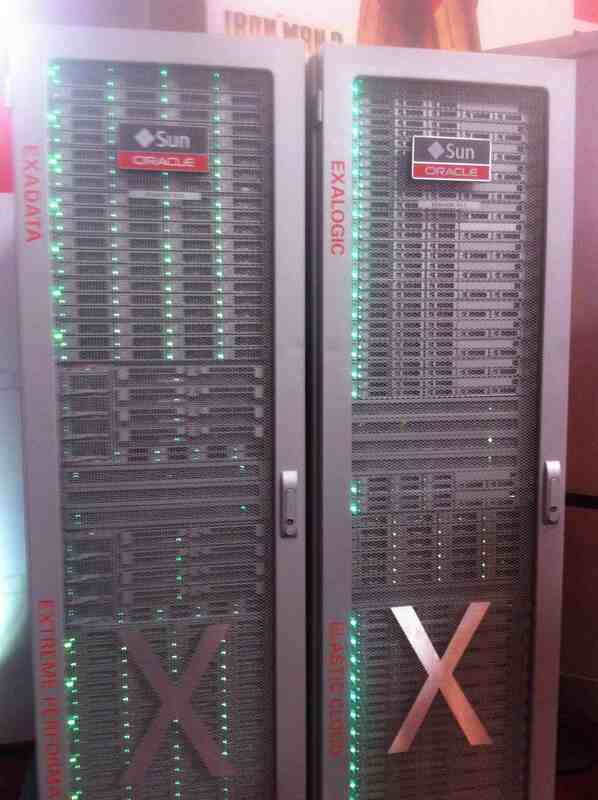 Of course there was a lot of attention on the Exadata and Exalogic. The new X2-8 is mind blowing…. 2 64-core built in Intel servers for a total of 128 cores. 14 on-board storage servers, 2 Terabytes of memory, claiming 1 million I/O per second. And check this out: you can CHOOSE either Solaris or Oracle Unbreakable Linux. We can see that Oracle does not think of storage traditionally, they thing of it as an entire computer system so that logic can be placed on the storage device to reduce the amount of data sent back to the host for processing. 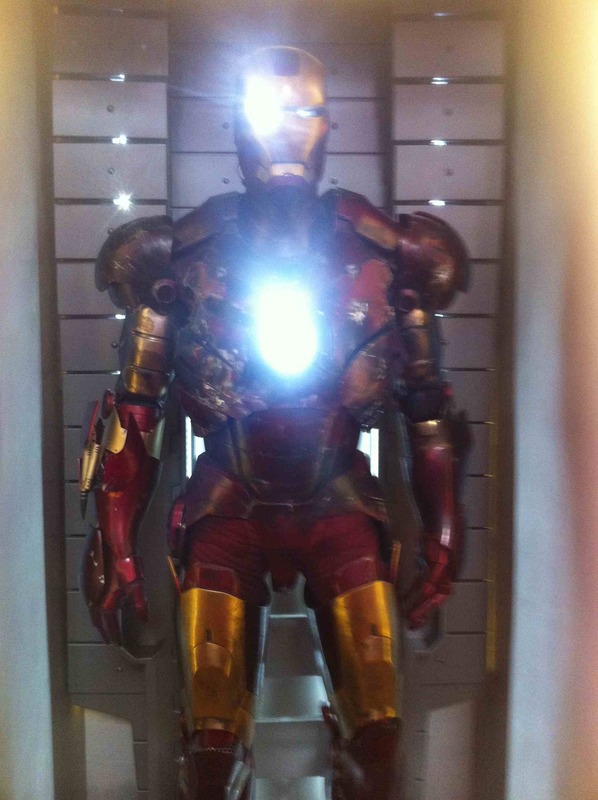 The keynote entrance was awesome – it was a total high-tech flashy Exadata meets Iron Man display. 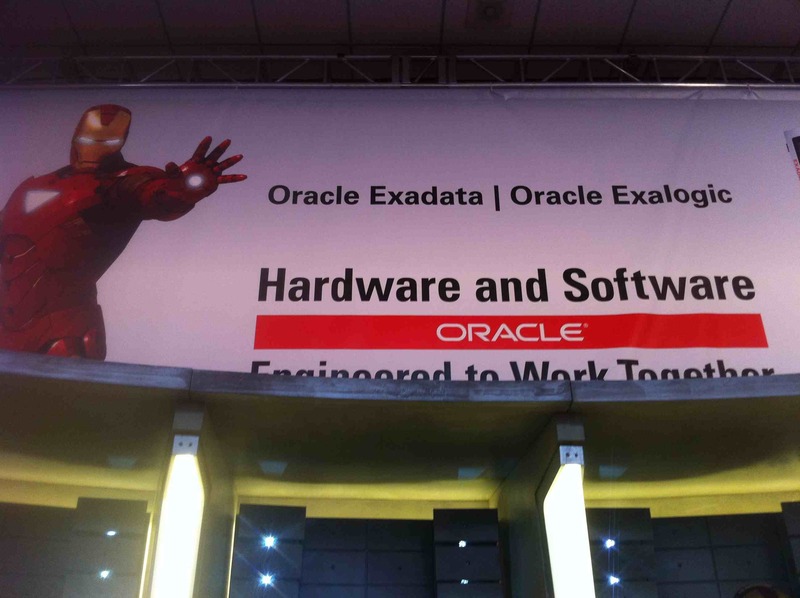 Oracle has catapulted the Exadata branding with the Iron Man movie. As a matter of fact, Larry Ellison actually has a small cameo in the movie. 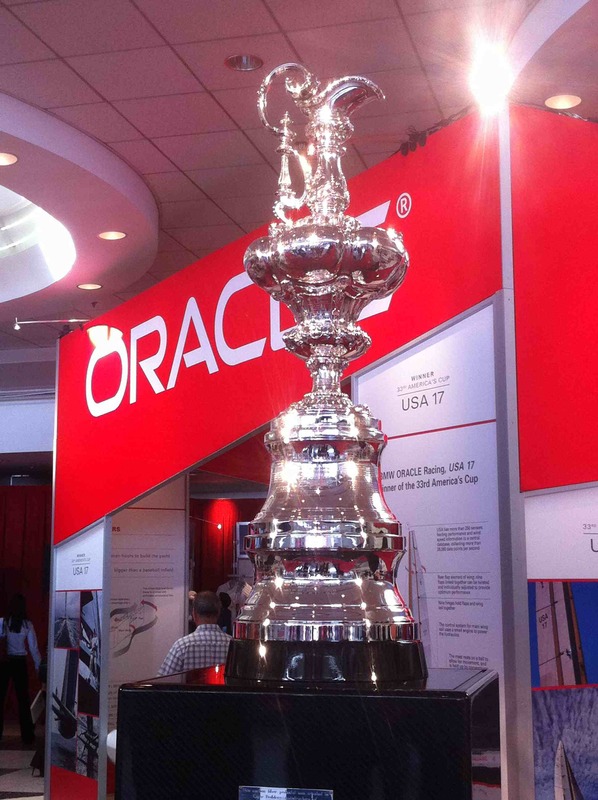 Out in the Lobby, of course Larry had to display all his America’s cup stuff, including the cup itself which was surrounded by some pretty stout security. The Exhibit halls were crazy If you have never been to OOW – there are an overwhelming amount of booths. There are THREE exhibit halls! Each booth doing what they can do to lure you in with giveaways so that they can tell you about their company and offerings. The problem though is that Oracle has over 3,000 different products so trying to find a company that directly related to what you are exactly looking for is difficult, just as it is for vendors to find targeted customers. Regardless, a walk around any of these halls will get you a plethora of pens, balls, Frisbees, jump drives, T-shirts, water bottles, etc. Some go as far as hiring model girls and celebrities. Even Commander Data was there at one booth! 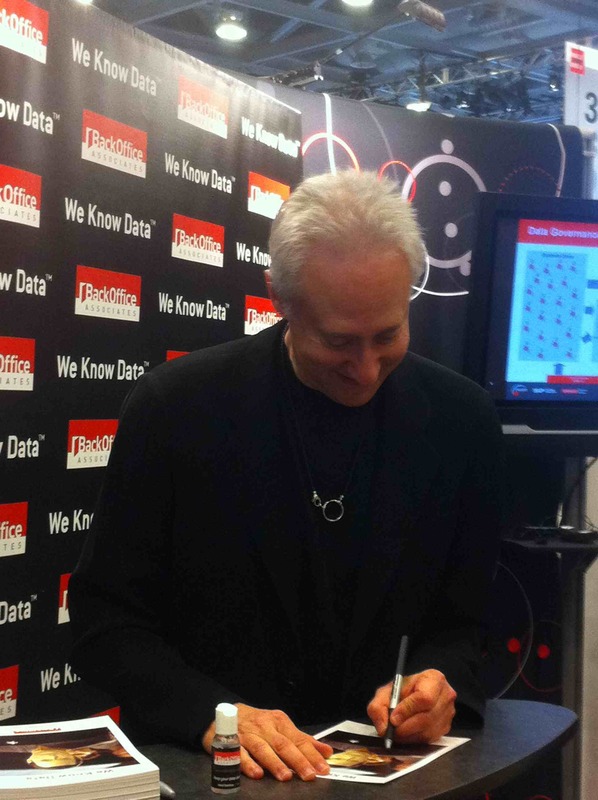 Don’t you love the slogan on the sign behind him… “We know Data.” Hehe makes me giggle. The rest of the conference grounds were what you would expect. Fantastic organization and great surprises at every turn. The weather was great for us as well, which made the out door garden a perfect place to eat lunch while listening to a live band. Monday night was an invite-only OTN party night which was great. As an Oracle ACE Director, I was given a few passes. On stage they hosted a game show full of geeky questions and the obligatory annoying but funny host. 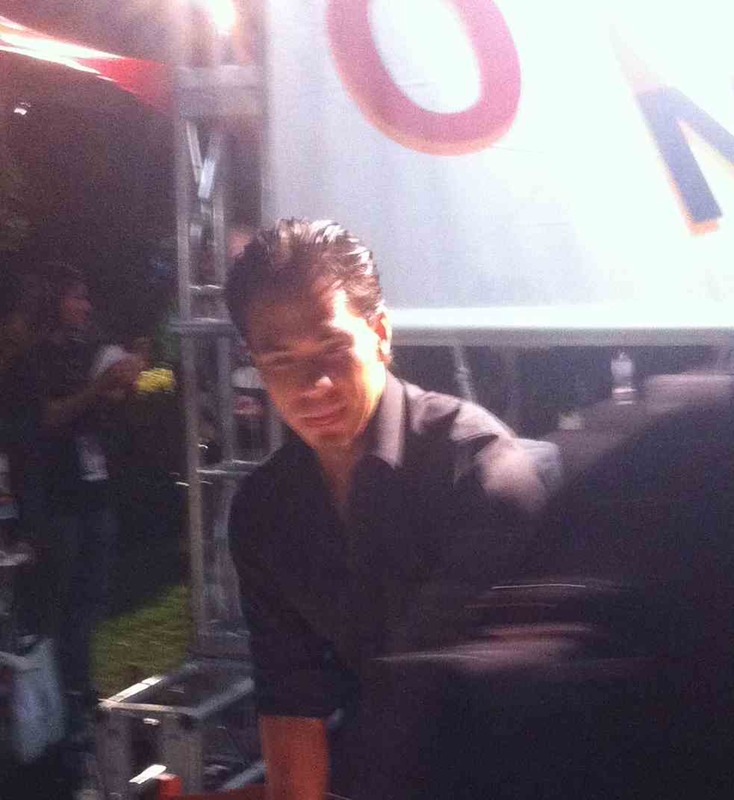 Even Olympic skater Apolo Ohno stopped by. The EPM/CRM Partner event was at the Palace Hotel. A really nice traditional setting. Full open bar, great appetizers. I was able to catch up with some friends there from other partners, Oracle Sales Channel reps, and some folks from my ex employer, Hackett. Of course the OAUG had to throw a fantastic reception as well. This year they picked the Weinstein Gallery who features works of art by Picasso, Dali, Chagall, Matisse, Ford, and Fini. 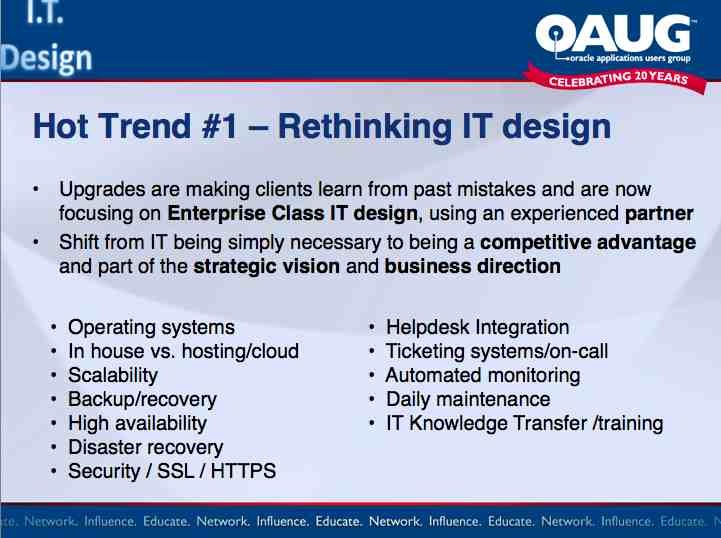 What a great idea and location – great job to the OAUG Board! 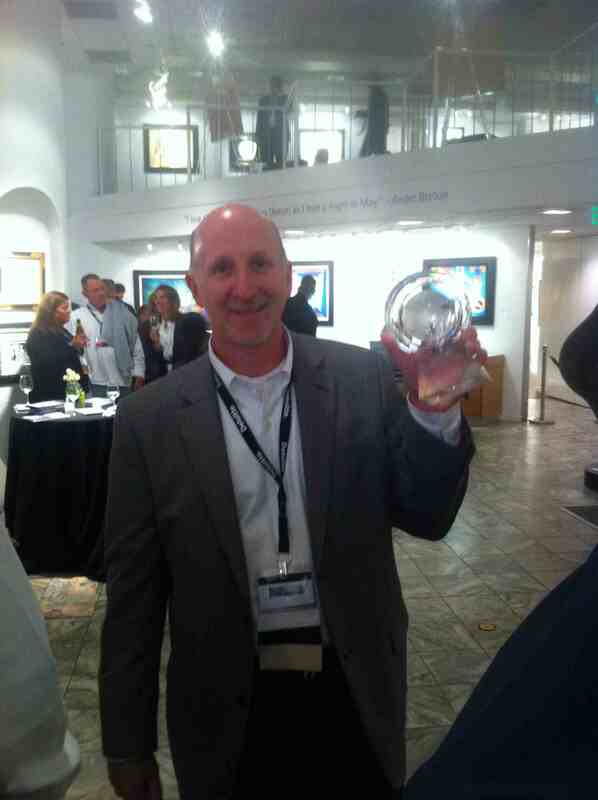 During the event the OAUG handed out their “ambassador” awards. The award goes to Oracle employees that help the OAUG, without them we could not make many of the user group functions a reality. A well deserved Ambassador award went to my friend John O’Rourke who has always helped the OAUG by speaking at our events and helping the user community understand Oracle’s EPM roadmap strategy. The Oracle Customer Appreciation event. As always the main customer appreciation event was absolutely amazing. This year it had a killer line up including Don Henley, Black Eyed Peas, and Steve Miller Band. 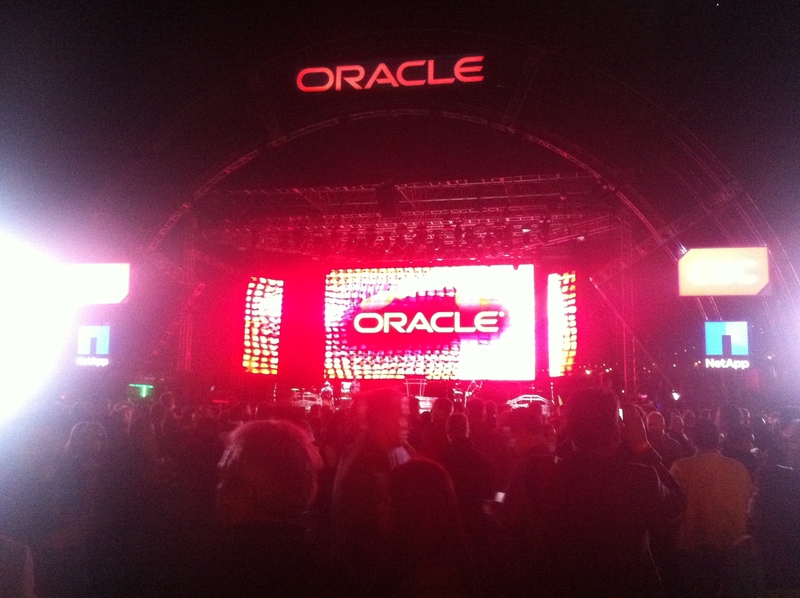 The surroundings are fantastic – with amazing lighting and Oracle signage. 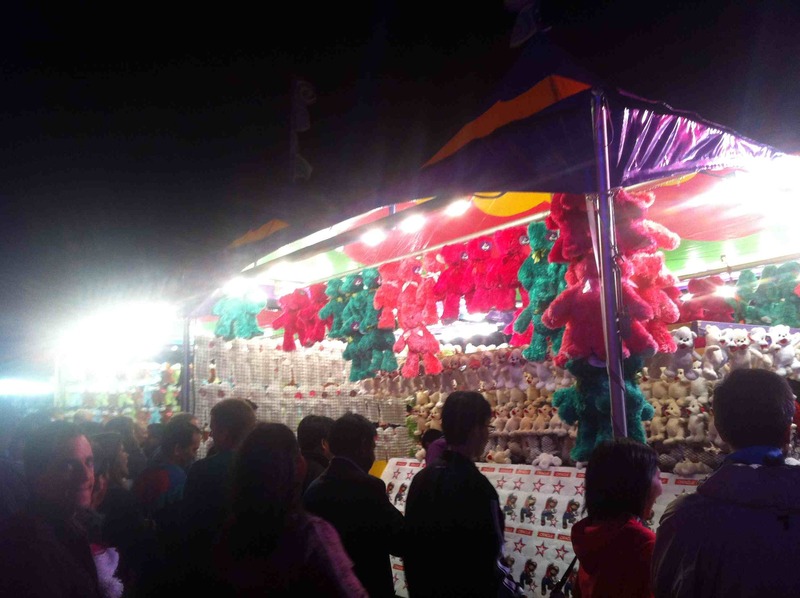 Outside the stage area was a carnival theme complete with rides, skill games, and fair food like cotton candy. 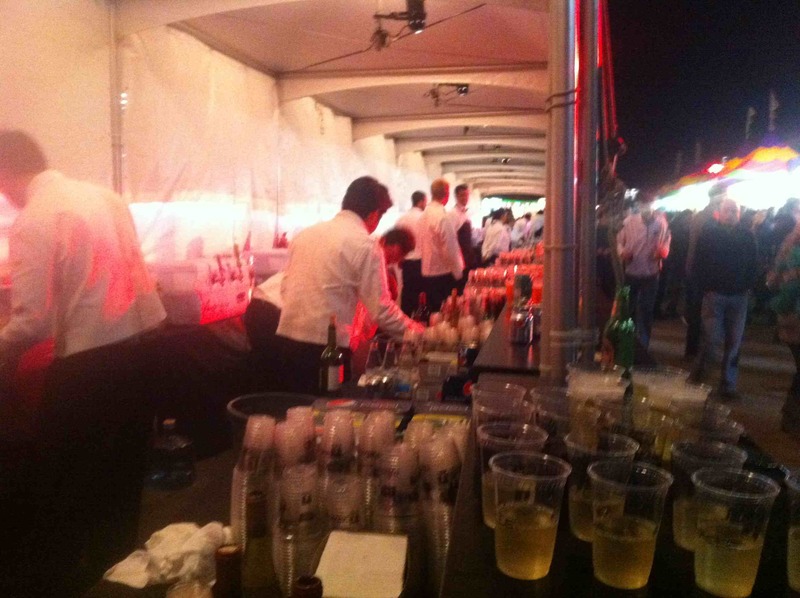 Of course the free beer/wine tent was popular and well organized – you never had to wait for a drink! The outdoor stage was amazing, sparing no expense. 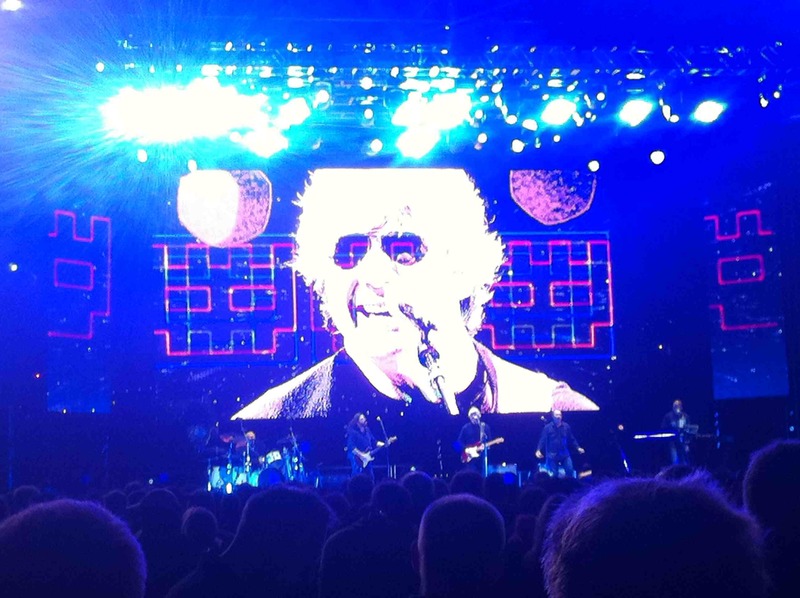 Complete with HUGE TVs, HD boom cameras over the crowd, fantastic lighting, great graphics, spotlights, and effects. 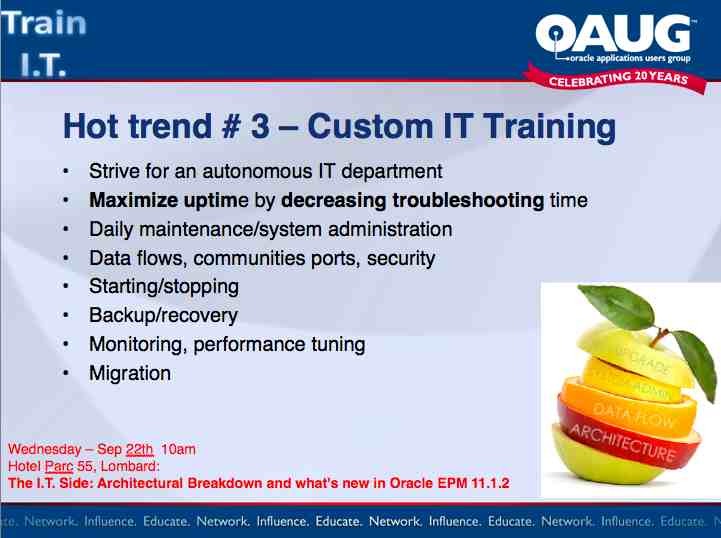 Oracle sure knows how to do it. 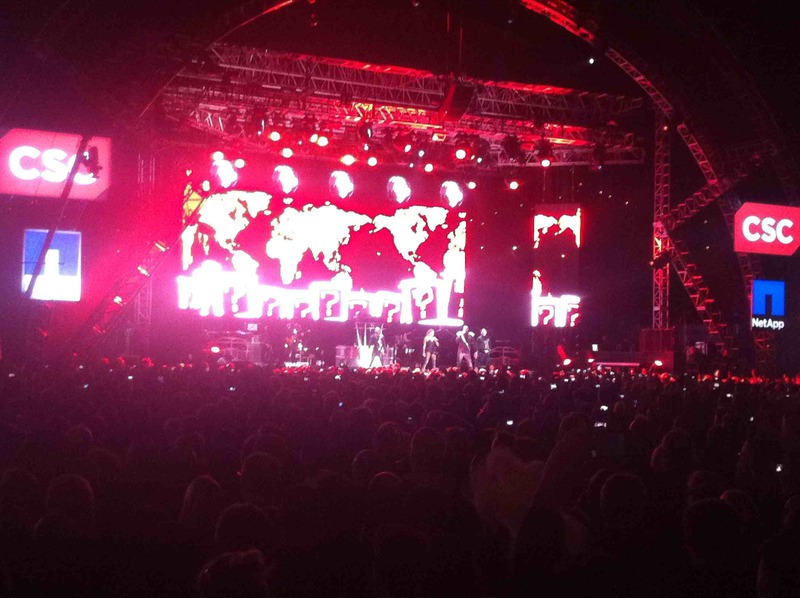 The black Eyed Peas put on a fantastic show. Fergie looked amazing, I have to say. 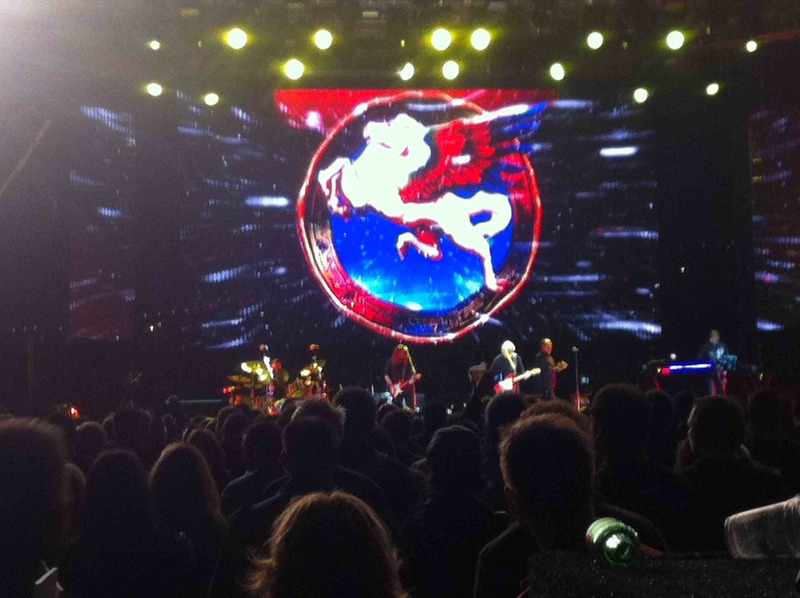 The Steve Miller Band was great too. I have to say what impressed me the most was the sound. 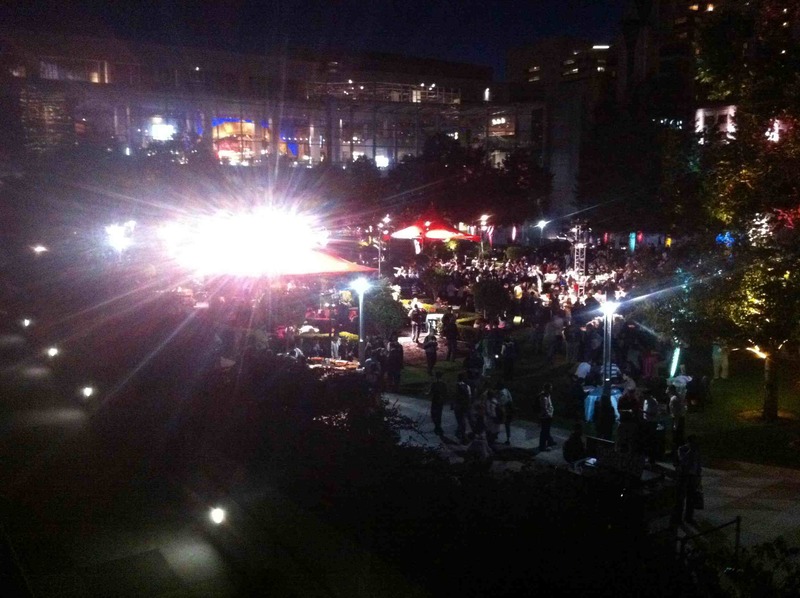 For an outdoor venue, it was excellent. The worst thing about the concert by far was the bathrooms. Horrible placement, ridiculous lines! I really hope they do better about that next year. I have just a couple of complaints about the conference. The first one is the horrible infomercials we have to endure at keynotes. It really upset a lot of people and we all felt a bit violated. That has to be better next yer. The next one is the “Unconfernece” I love the idea of the UnConfernece. In previous years the unconfernce session were held in small rooms on the second floor of Mascone West – so it was close for everyone and people could see the whiteboard that listed all the sessions. 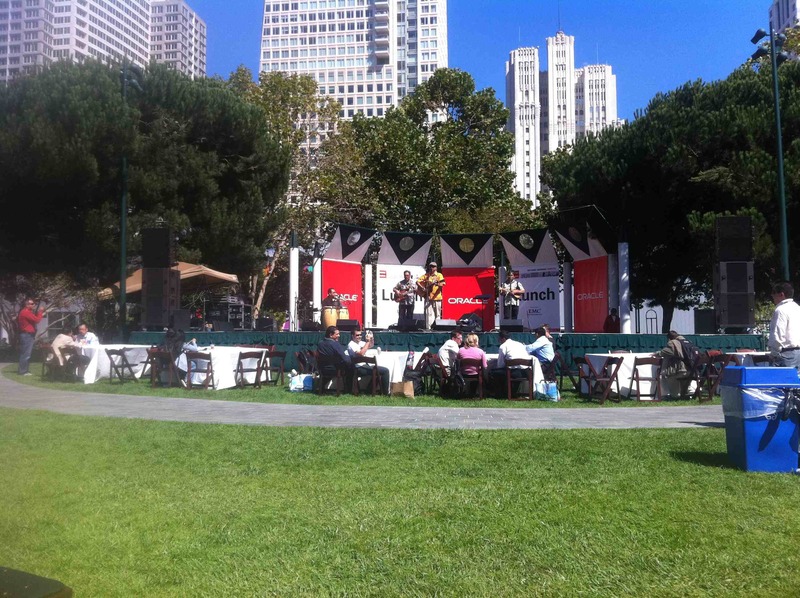 This year it was 5 blocks away at the Parc 55 hotel. On the 4th floor. Ridiculous. Nobody knew about the sessions and nobody saw the board with the sessions. As a matter of fact there were many slots not even taken. 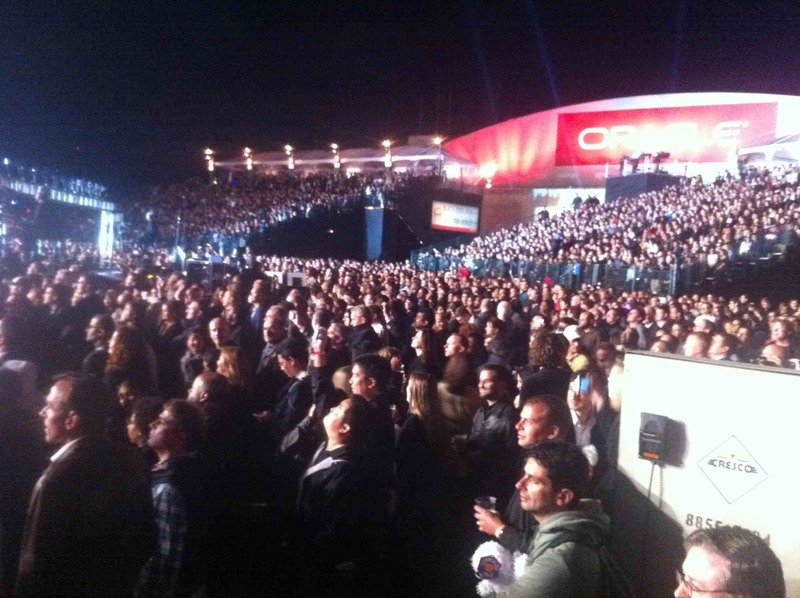 I hope the OOW people doe something better next year – it’s a great idea that does not deserve to be hidden, but promoted. All in all the conference was great. 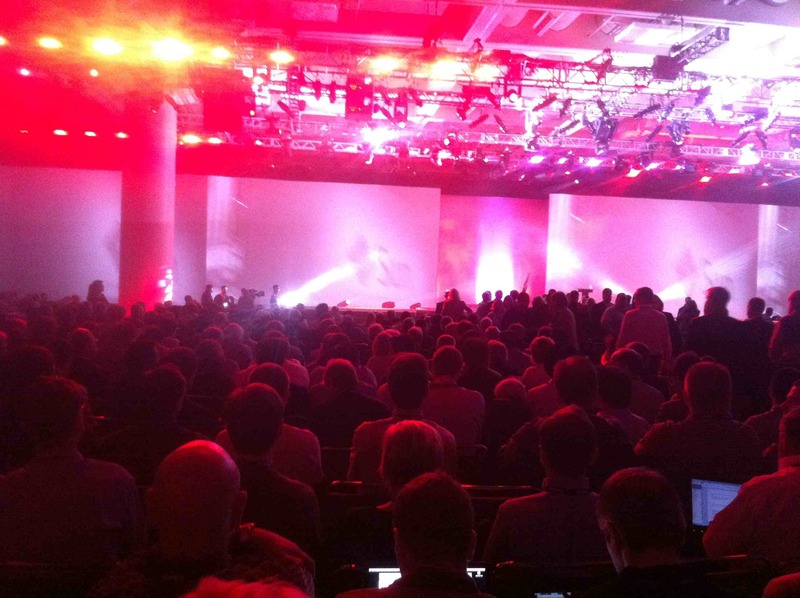 The next one, Oracle Open World 2011 will be held in the same place Oct 2-6th. 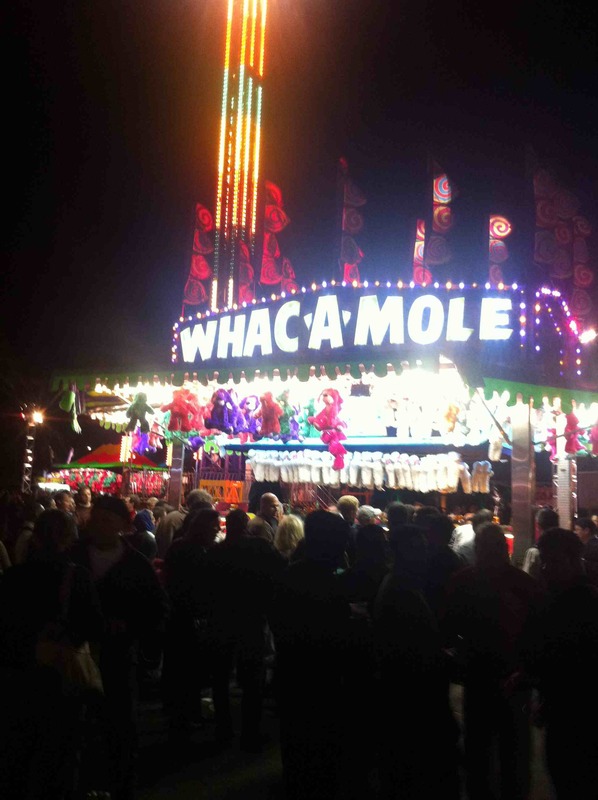 However I was hearing rumors that they may start considering a different venue. It is obvious that his conference has reached the capacity of San Francisco and adding Java One significantly increased attendance. Hotels are impossible to find…. Some people either paying $800/night or forced to say out as far as Oakland. As this attendance starts rounding 50,000 people, it seems that Vegas may be a more appropriate location to accommodate everyone. ~ by Eric Helmer on September 24, 2010.